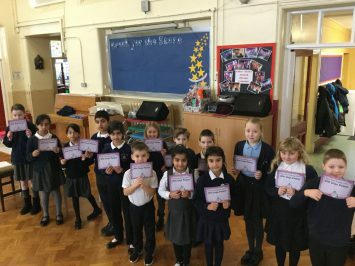 CONGRATULATIONS to this week’s stars with certificates being awarded for: working independently, positive attitude, creating a great booklet, improved effort, completing maths and literacy challenges as well as the whole of Class 6 who received Star of the Week for their detailed discussion on BREXIT! 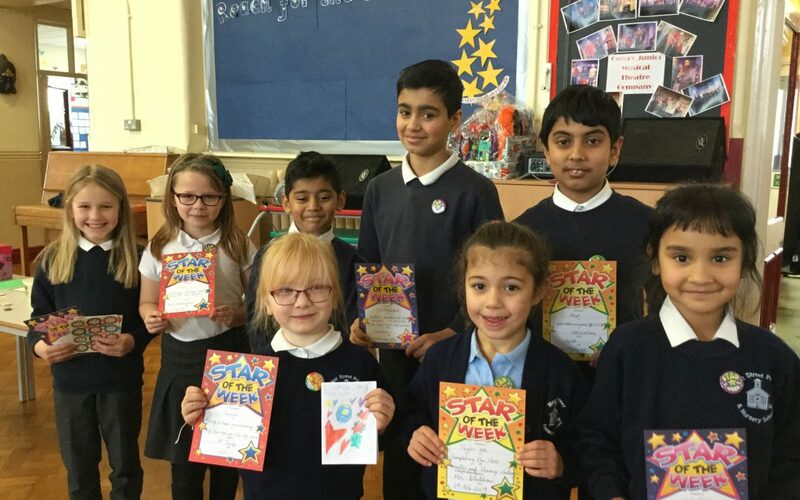 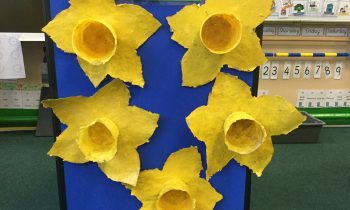 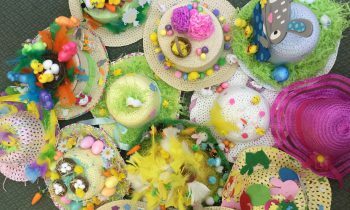 Well done to: Sabakah, Sienna, Eva, Hassan, Asad, Waqas, Taylor and the whole of Class 6. 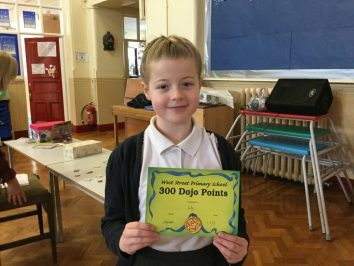 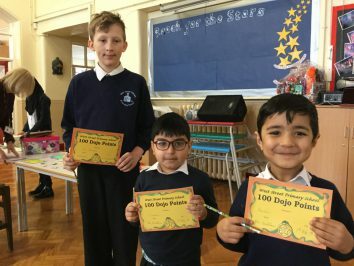 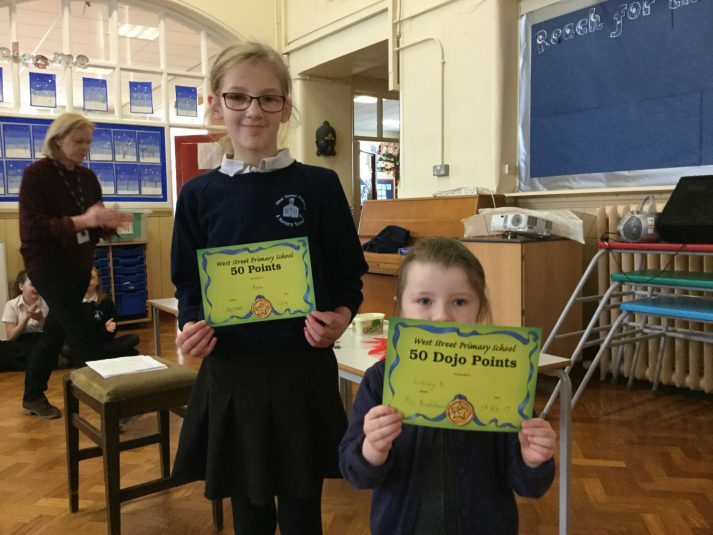 Even more children are climbing the Ladder of Rewards and achieving 50, 100, 200 and 300 Dojo points being rewarded with certificates, pencils, lucky dips and CREAM TEA! 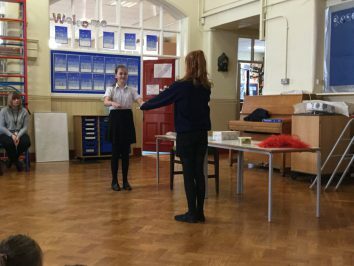 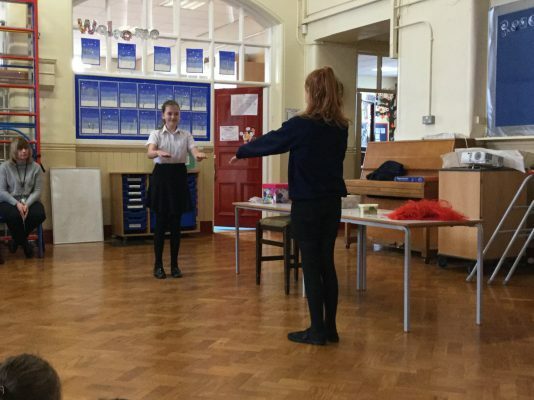 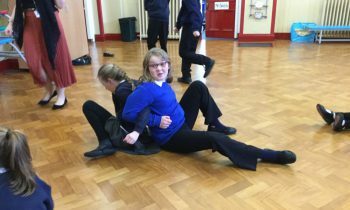 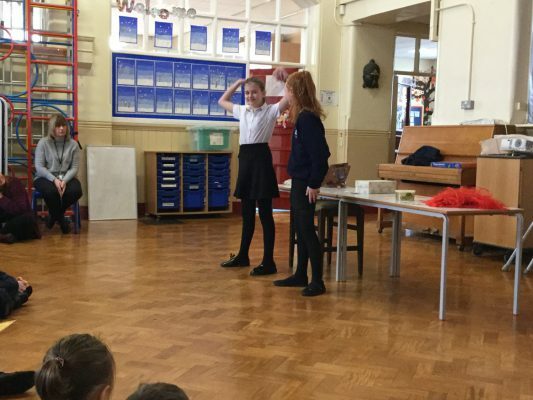 We were also treated to an original dance by Kylie and Charlotte created and choreographed by themselves.